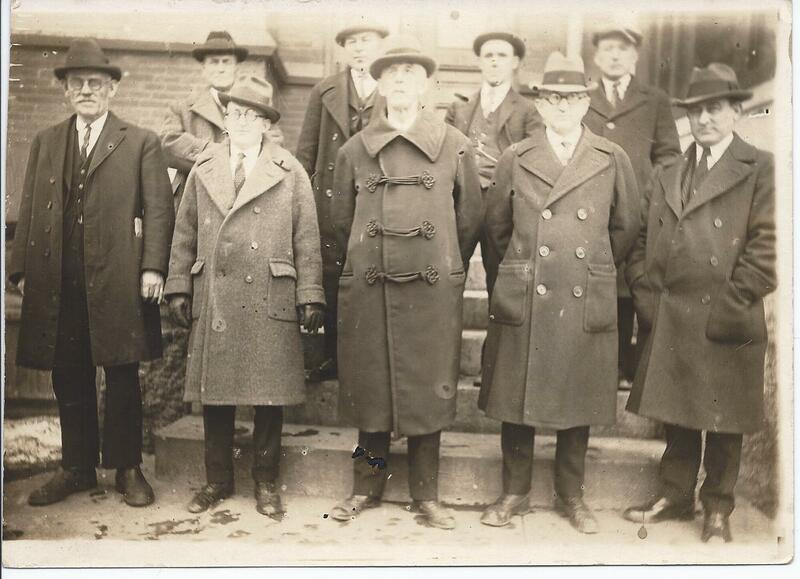 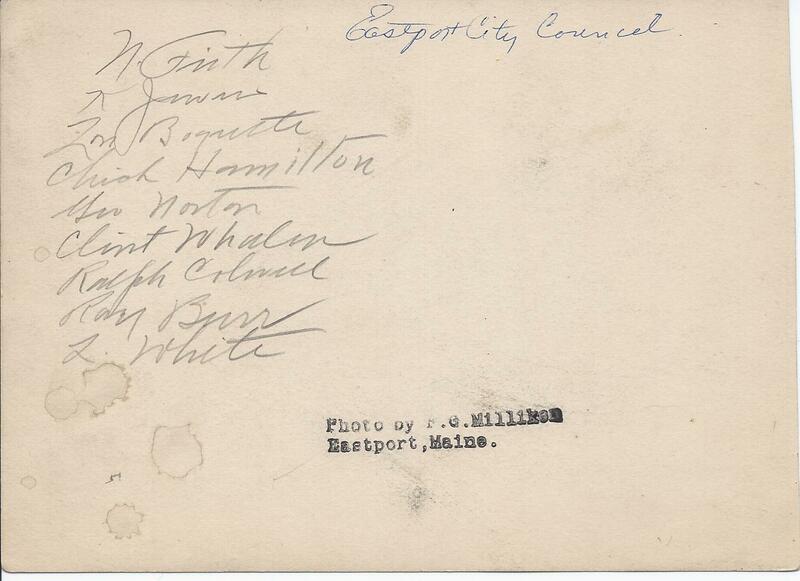 Photograph of the Eastport, Maine City Council, from the 1920s/1930s era. 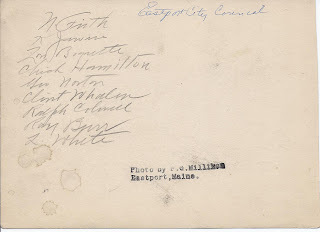 The men are identified on reverse. 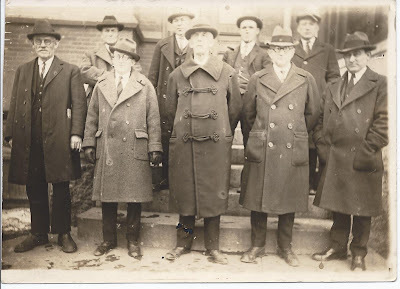 If you have information on any of the men in the photograph above, please leave a comment or contact me directly.